Would you pay $99 for a light bulb? For a product that so completely redefines a familiar technology, you just might. , and the most tech-savvy homeowners began to experiment with this WiFi-enabled, multi-color, energy-efficient LED. Even when it’s off, the LIFX looks like no other light bulb you’ve ever seen. There’s no glass orb, but rather a flat-topped disc atop a textured plastic body. 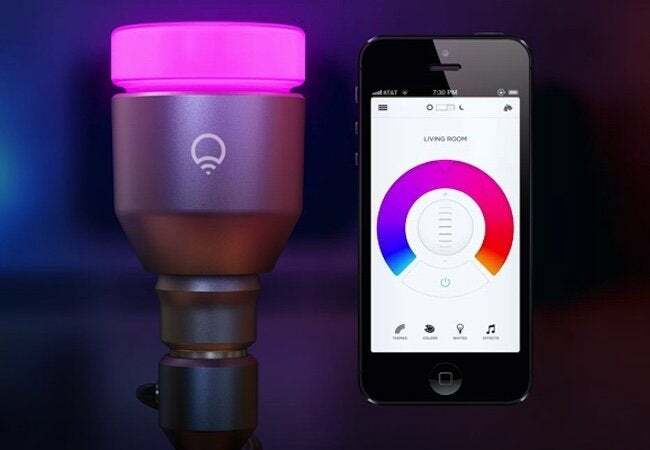 But the single most noteworthy thing about LIFX is that you can control the bulb from your smartphone or tablet, modulating not only its brightness, but also its color. At a swipe, you can settle on a standard LED color or pick any of the millions on the spectrum between warm white and cool. What saves the color options from being a mere novelty is that you can temper your selection with a layer of white light, thus creating a tinted hue that flatters your home decor while creating an appealing atmosphere, be it buoyant or serene. LIFX even includes a number of pre-sets allowing you to transform the mood in your house at one touch. To get started with LIFX, there’s no peripheral hardware to set up; the bulb can be used as soon as you take it out of the box. You simply screw it into the socket and connect it to your home network using the free LIFX app. 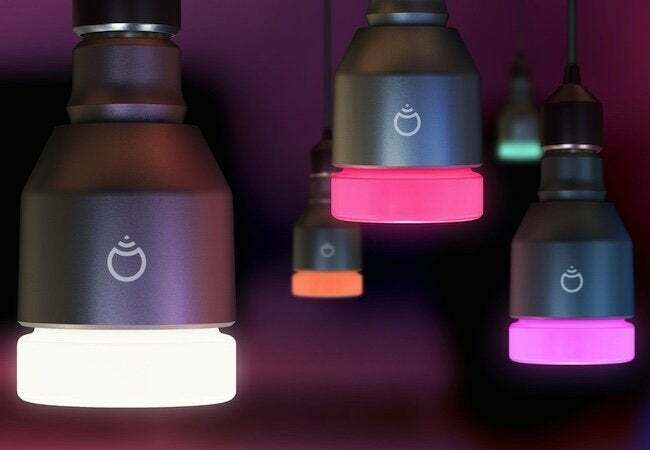 Whereas many other smart home products on the market excite with their possibilities but intimidate with their complexities, LIFX bulbs are inviting and immediately useful to anyone, tech geeks and Luddites alike. However, if you’ve been closely following the Internet of Things movement, what you may find most interesting are the third-party integrations. For example, LIFX syncs with the Nest Learning Thermostat and Nest Protect smoke detector, and it even has an IFTT channel. That means you can program the lighting to dim after 10pm or to pulse when an email arrives from a certain someone. Any number of configurations are possible. It’s all up to you—if you decide limitless lighting options are worth $99.